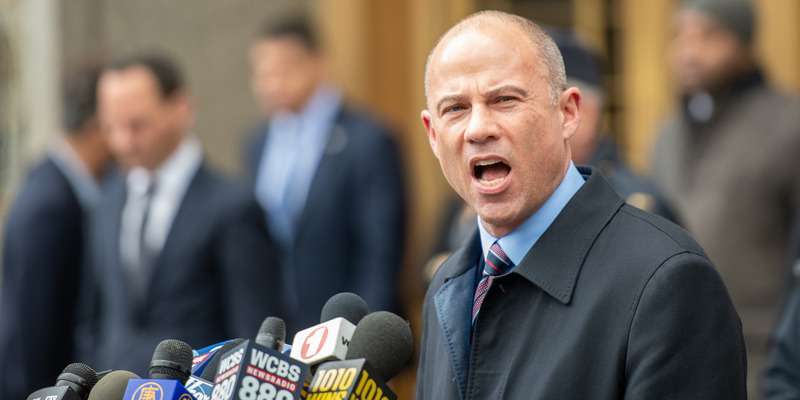 The celebrity lawyer Michael Avenatti has been charged with 36 counts of fraud, embezzlement, perjury, failure to pay taxes, and other financial crimes in Los Angeles, according to a newly unsealed indictment. Avenatti is accused of stealing millions of dollars from five clients and using multiple shell companies and bank accounts to cover up his actions. If he’s convicted, Avenatti faces 335 years in prison. Avenatti is also a defendant in two other criminal cases unsealed last month: federal prosecutors in New York charged him with attempting to extort $20 million from Nike, and prosecutors in Los Angeles charged him with wire fraud and bank fraud. A federal grand jury in Los Angeles indicted the celebrity lawyer Michael Avenatti on 36 counts of perjury, fraud, failure to pay taxes, embezzlement, and other financial crimes, according to an indictment that was unsealed on Thursday and first reported on by The Los Angeles Times. The lawyer pushed back the charges in a series of tweets Thursday.